as this is my first post, so here i will start from basic. i will share what i have done and how, so that you can learn step by step. to gain access to all user account. to understand full working behind this just try to recall process of installing windows XP. when you encounter this step. and a super admin (Administrator) Pasword. by default this user account always in hidden form. and 100% in collage/ School left this password blank. so our Hacking Start with this step. 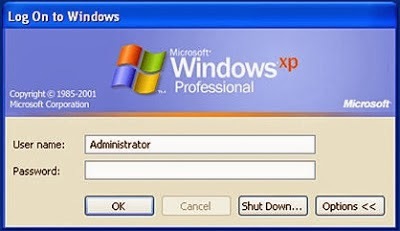 to hack windows xp you know the super admin username: administrator (default). this is secrete only system admin knows how to access login screen. In the welcome screen press “Ctrl”, “Alt”, “Delete” altogether, twice. and you will get this screen. Thanks for reading step by step i will cover all minor to major topics of hacking. 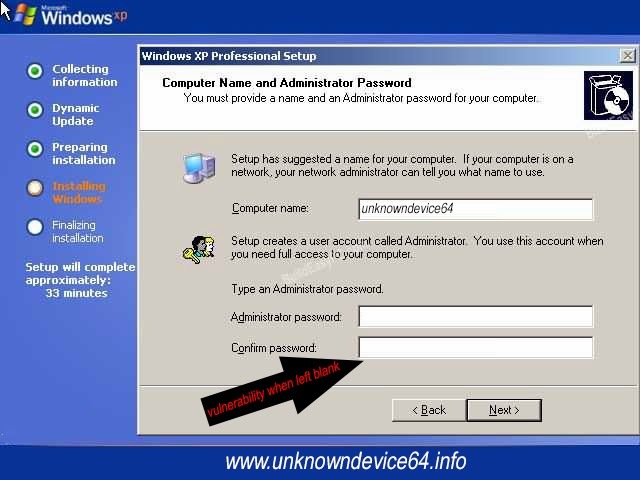 No Comment to " Starting Stage of Hacking : How to Hack Windows Xp Operating Syste "